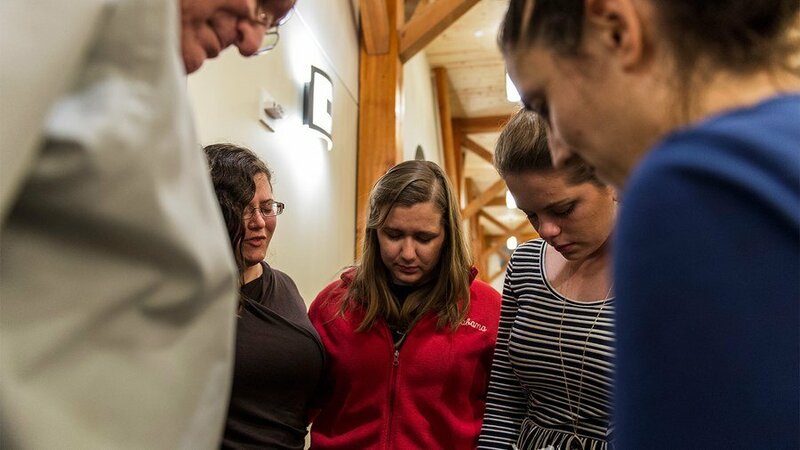 Imagine you and your church family did not have a building to meet in. There were no classrooms, no sanctuary, no foyer with coffee and donuts to greet you. Instead, you hosted your church family in your home every Sunday morning. For multitudes of congregations in Asia, this is normal. 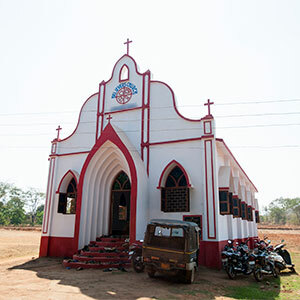 In certain areas, it is difficult to begin the process of constructing a church building because of many obstacles, which may include opposition, lack of finances and various extreme weather patterns. Fortunately, when church buildings are constructed, they not only provide a safe haven for believers, they also become the central hub of activities where believers can serve and worship the Lord with joy. This month, we have an opportunity to intervene in prayer for our brothers and sisters in Asia who do not have a place of worship. Together, let us pray to the Lord for the various needs that arise because of this. The many beautiful, distinct cultures throughout Asia highly value religion and symbolism. Because of this, a permanent place of worship has more credibility and often becomes a source of respect. Individuals who would normally be more apprehensive toward the Good News may become more curious when they see a building set apart for their God. 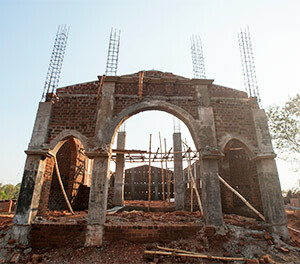 After church buildings are constructed, they often become a positive impact in the communities. Please pray the Lord will fill worship places with His presence so that a redemptive work can begin in the communities they are located. In many areas in Asia, opposition is a given. Construction efforts for church buildings are often thwarted because of what they represent: permanence. When the commencement of construction is hampered or the construction site is destroyed, believers can face significant discouragement. 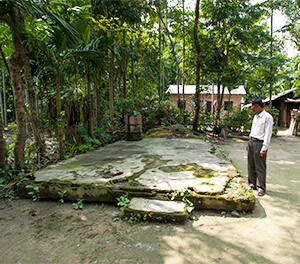 Please pray against opposition toward permanent places of worship. Pray also for peace and protection for believers. Construction of church buildings can be compromised by harsh weather conditions, which can put construction workers in danger. For example, monsoon season is a time of year when heavy rains fall at a constant rate along the coast of Asia. Construction often comes to a halt during these seasons. Please pray for safety regarding contractors and construction occurring in regions that experience extreme weather conditions. Due to the lack of worship places, many pastors across Asia conduct their Sunday services in temporary, rented spaces or in their homes. If there are no spaces available, the pastor and his family often make their own homes ready for their congregations every Sunday morning. This can include moving furniture around, putting belongings in drawers to save space and making refreshments. At times, this can be taxing on pastors, as they also have the tasks of preparing for sermons and shepherding their flock.  Pray for wisdom for pastors and elders in planning services and ironing out logistics in finding rented spaces. 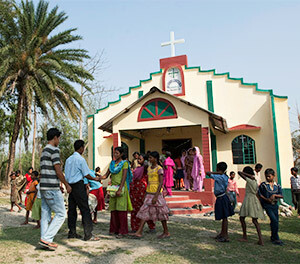 Believers in the West have an opportunity to unite with the Church in Asia by donating toward church buildings. This would help grow the Body of Christ because church buildings in Asia are more than just buildings used on Sunday mornings. They are the central location of all church activities and a safe haven for believers throughout the week. By partnering financially with believers in Asia, many congregations that have been crying out to God for a church home may finally have one. 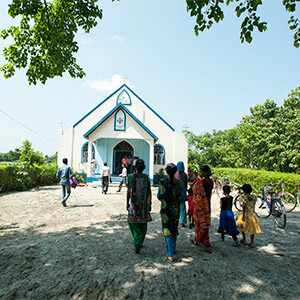 Please pray donations would be provided for the construction of church buildings, so that believers throughout Asia will have a place to worship the Lord.